Let’s take a trip back to July 2001. With the release of White Blood Cells, Detroit two-piece The White Stripes became overnight sensations four years into their career, spawning hundreds of bands starting with “The” and ending with “—S” that would rule alternative-rock radio for the next few years. 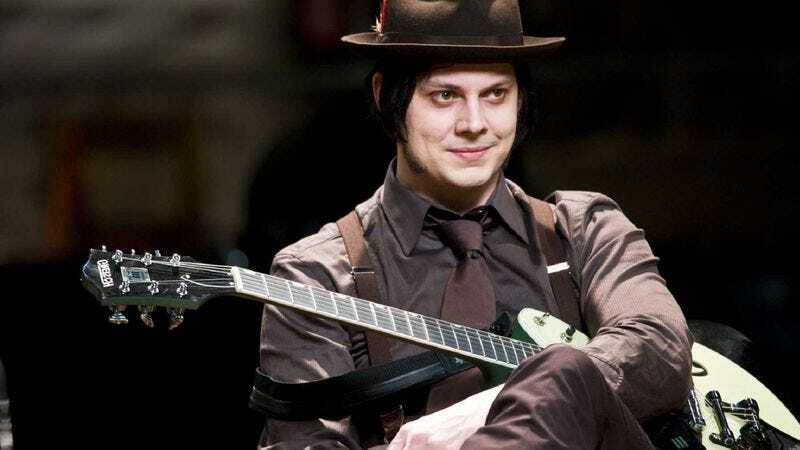 The White Stripes officially broke up in 2011, but White has remained in the public eye; in addition to performing with The Dead Weather and The Raconteurs, he’s maintained a successful solo career as well as appearing in the 2009 documentary/guitar player summit, It Might Get Loud. Not even the leak of his tour manager’s top-secret guacamole recipe could damage his reputation. White is currently promoting his latest album, Lazaretto, and is headlining this year’s Coachella; presumably weary of the drudgery of touring with a rider, White has just announced that he will stop touring “for a long period of time” after his next run of shows. After playing the second of two Coachella dates this weekend, White says he will embark on a short acoustic tour of “the only five states left in the U.S. that he has yet to play” and then go on an extended hiatus. Taking a cue from fellow Midwesterner and his royal purpleness Prince, the locations of the shows will not be announced until the day of the performance at 8 a.m. Tickets to each show will be $3 (Cheap!) and, in a move that’s sure to confuse millennials and delight those in the service industry, will be sold for cash only. According to Jack White’s website, tickets will be limited to one ticket per person and sold at the venue starting at 12 p.m. local time on the day of the show. Fans are advised to stay tuned to Third Man Record’s Twitter account for show announcements. For the performances, White has recruited a quartet that includes Fats Kaplin, Lillie Mae Rische, and Dominic Davis. The shows will be totally acoustic and amplified only with ribbon microphones; these five shows will mark the first time that Jack White has ever performed completely acoustic shows. White has not stated how long his break from performing live will last. In the meantime, he’ll be celebrating the tenth anniversary of Get Behind Me Satan with a special Record Story Day vinyl release, as well as a vinyl pressing of Elvis’ very first recording, which White purchased for $300,000 at a Graceland auction in January. Both records will be released April 18th.